What turtle or tortoise is right for me? Before acquiring a turtle or tortoise you must explore which turtle or tortoise would be best for you. Some things to take into consideration are habitat-climate, habitat’s security, indoor/ outdoor enclosures, diet, lighting, heating, vet care, and their longevity. To understand which chelonain is right for your home you must understand their needs and your ability to provide for them. It’s not a happy life for any turtle to sit in a boring small aqaurium with no stimulation. Your goal is to replicate as much as possible their surroundings in the wild. Turtles can be broken into 3 groups aquatic, semi aquatic, terrestrial. Aquatic turtles such as red eared sliders, cooters, Yellowbellies will eventually out grow indoor tanks and need a pond. 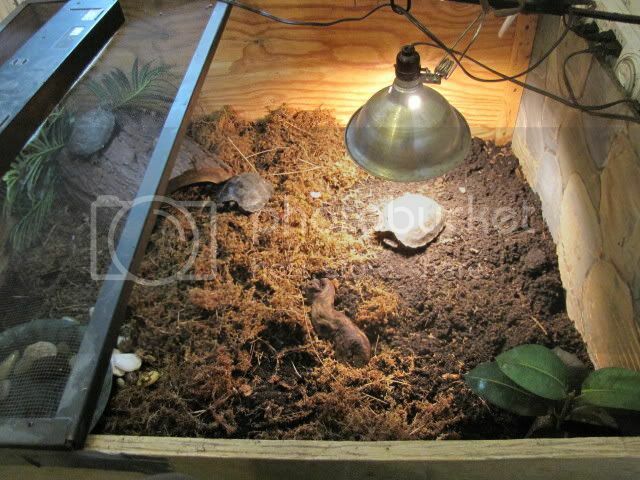 SMALLER turtles such as musks or muds can be properly housed indoors. A turtle’s home should be spacious and stimulating. This can be achieved with non toxic plants. All turtles need UVB and a place to climb out of the water to bask. 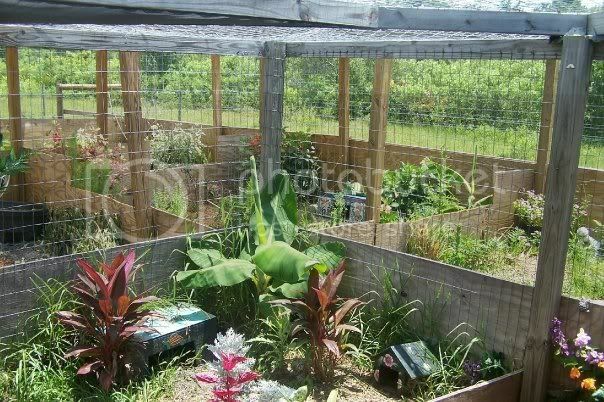 THis enclosure is within a secure compound. It would aslo work well for spotted turtles. Terestrial turtles such as box turtles do best in outdoor pens. They need a soaking dish large enough to climb into and easy enough to get out of. 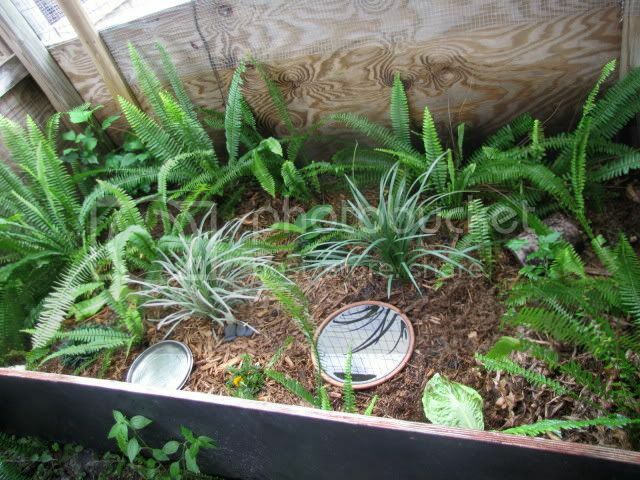 A hiding spot, a substrate that holds moisture, a proper diet, a secure living area, and stimulating environment. THis This pen houses 3 yearling Chinese box turtles. It is within a secure compund. This pen would also work well for a couple of box turtles. 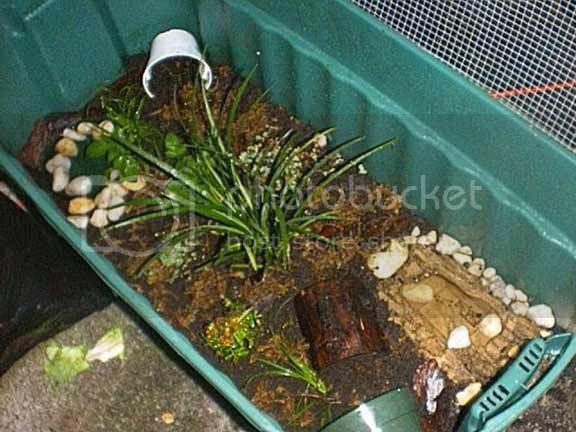 TThere a variety of tubs and rubbermaids that make wonderful enclosures. THis 55 gallon rubbermaid has been turned into an exciting enclosure for 3 eastern box turtle hatchlings. It would work well for other species as well. The secure lid hs been removed for the photo. If you are in an area that has predators such as raccoons pay close attension to the security of the pens. It us your responsibilty to keep them safe at all times. Whether you choose a water turtle or a box turtle it is your responsibility to provide the best care possible. All turtles need proper lighting/heat/UVB a spacious stimulating enclosures, hiding places, clean water, secure enclosures, and competent vet care. If you are not prepared to dedicate yourself to these basic needs perhaps a different pet would be more suitable. Smaller tortoises such as Russians, Herman’s or greek’s are a wonderful choice for a first tortoise. 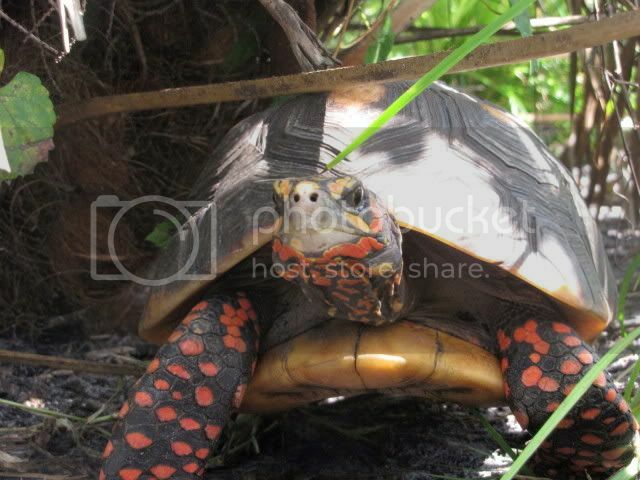 The redfoot tortoise is a wonderful personable tortoise that doesn’t get too large. If turtles just aren’t your thing you may consider adopting a tortoise. A very important consideration before choosing a tortoise is space and climate. For instance large land tortoises such as sulcata and leopards and redfooted tortoises will eventually need full time outdoor enclosures. If you live in a cold state this will be much harder to provide. The time to find a reptile vet is before you need one. To find a reptile vet in your area Click Here. Habitat’s for both turtles and tortoises should be secure and safe from predator’s. We have only touched on some of the more common species of turtles and tortoises. With over 269 species of turtles and tortoises you must do research on the species you are interested in keeping and make choices that are best or both you and the turtle. With the proper environment you will have a wonderful friend that could easily out live you. 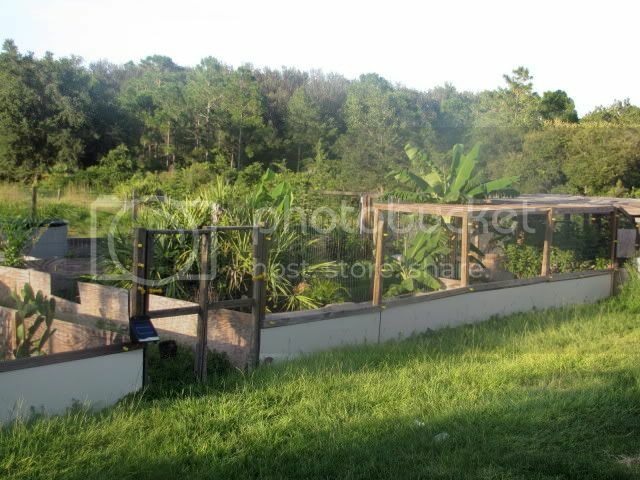 This tortoise compound is secured with plywood dug 2 feet into the ground. The walls are 6 foot high and protected by 3 lines of solar powered electric wire. These pens are divided by species within a secure compound.